I’ve taught creative writing at Chatham University, and academic writing in the Humanities Scholars Program and the First-Year Writing Program at Carnegie Mellon University. I’m also committed to teaching writing in the community. I’ve led writing workshops for teens in Pittsburgh with Girls Write Pittsburgh and the Literary Arts Boom, for high school students in India with Avanti Fellows, and for adults at East Liberty Presbyterian Church. At Chatham, my creative writing courses, Special Topics: Poetry, Special Topics: Fiction, and Creative Writing I and II, use contemporary literary works as models from which to generate writing. These courses operate on the assumption that to improve as a writer, one must read widely and deeply, and just keep writing. I ask my students to take real risks in their writing — to push themselves to find their unique voices, and to say the things they are afraid to say. I also teach a practicum course to support the publication of Chatham’s undergraduate literary journal, The Minor Bird. All phases of the publishing process are addressed, especially reviewing, copyediting, curation, design, and marketing. The course is designed to allow students to gain experience and knowledge of the creative, technical, and professional aspects of publishing a literary journal. At CMU, my Humanities Scholars course, Poetry and Power, asks: Does poetry have power in our society? What is its social function? How is poetry distinct from other modes of writing? Students read and discuss poetry both on and off the page, as well as explore arguments about poetry, poetics, and power via essays, literature, performance, media, and community engagement. My first-year writing course, Gender and Popular Culture, helps students learn to interpret texts and write critically. We read, watch, and discuss academic and popular essays, poems, film and other media. We ask: in what ways do gender narratives affect our lives and behaviors, and what assumptions underlie these narratives? 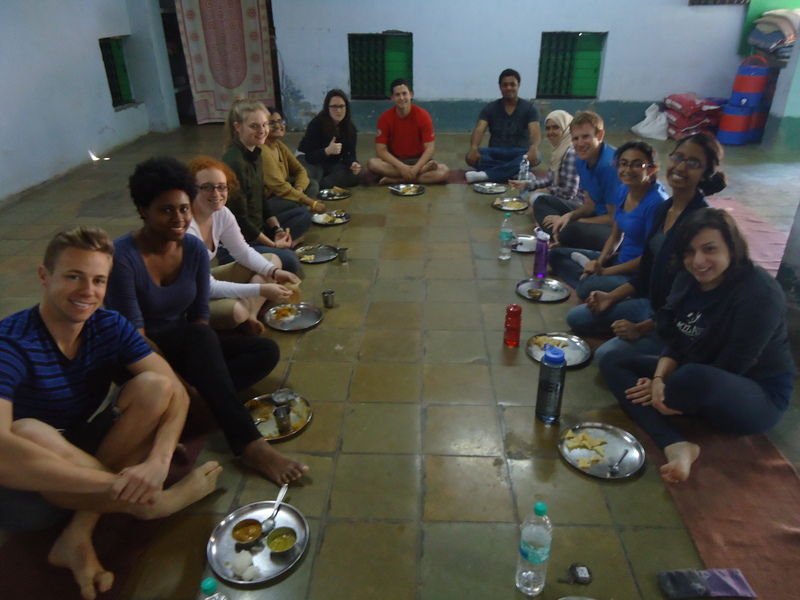 I also co-direct the Social Change Semester with Nico Slate, which brings Carnegie Mellon students from Pittsburgh to Qatar and India. Our goal: to create a sustainable model of service-based global education. By engaging directly in the challenges and opportunities facing Qatar and India, we learn with our partners how to mobilize social innovation in pursuit of social justice. Together, we leverage CMU’s resources to advance the work of our community partners in Qatar and India. The students on the first Social Change Semester created a blog that explores their experiences in their own words. You can read their stories here. If you would like to know more about the Social Change Semester, please feel free to contact me.